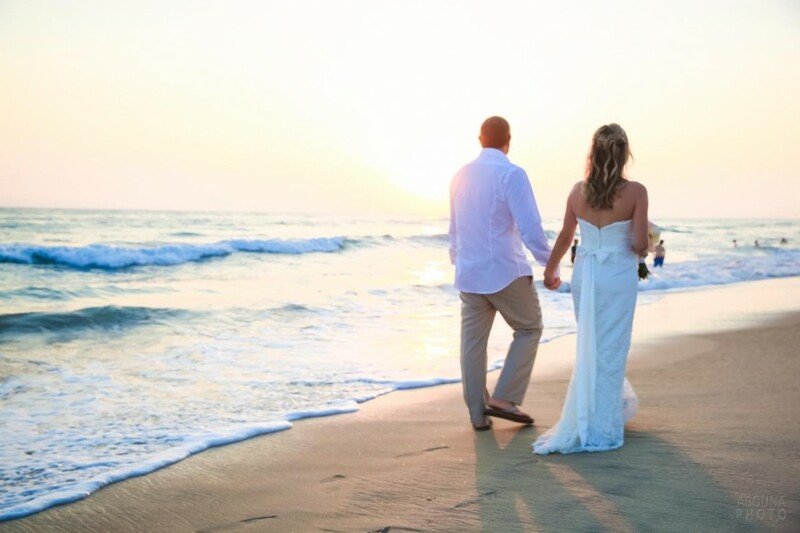 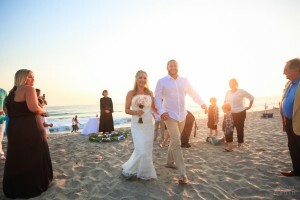 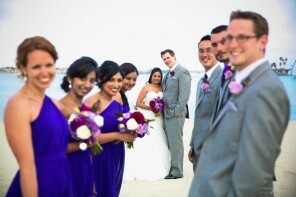 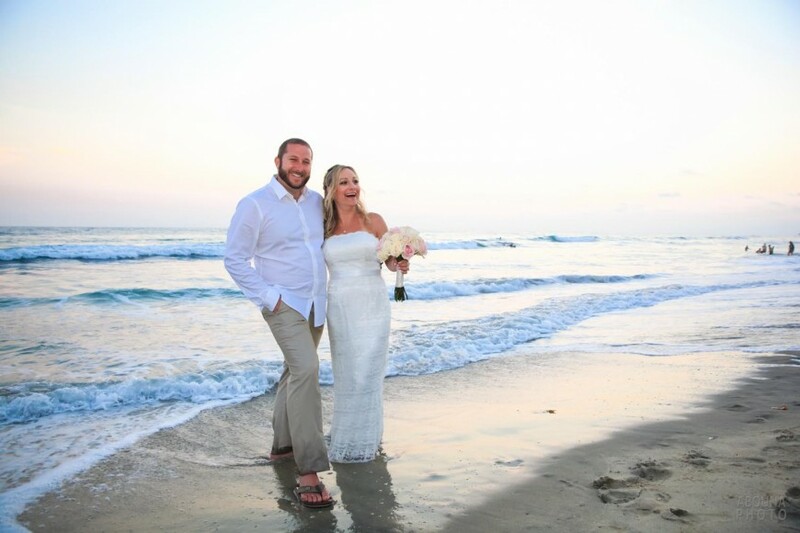 Another beautiful beach wedding in Carlsbad CA. 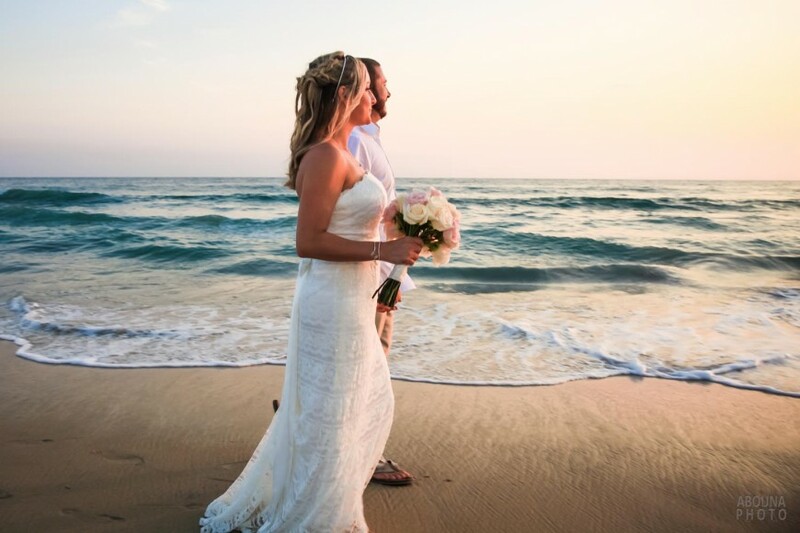 Located just north of San Diego, the coastal city of Carlsbad has some of the nicest and most accessible beaches in Southern California. 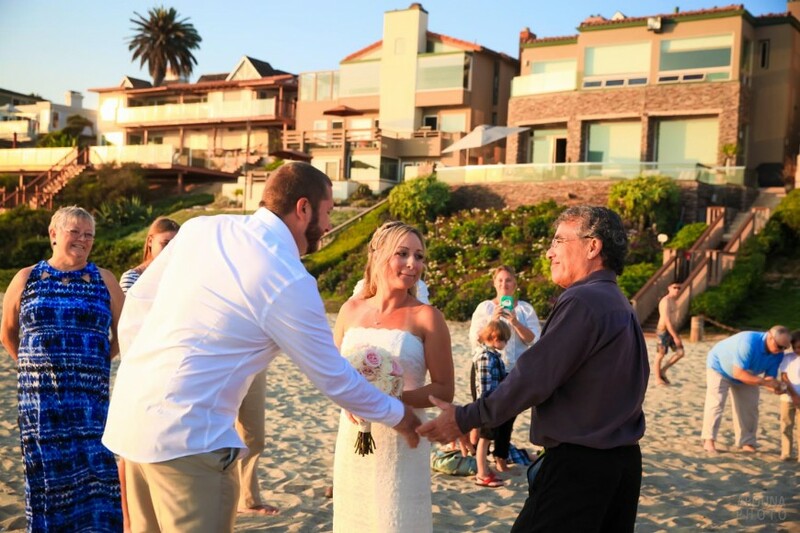 So it’s no surprise that Lauren and Mack chose this spot for their wedding ceremony. 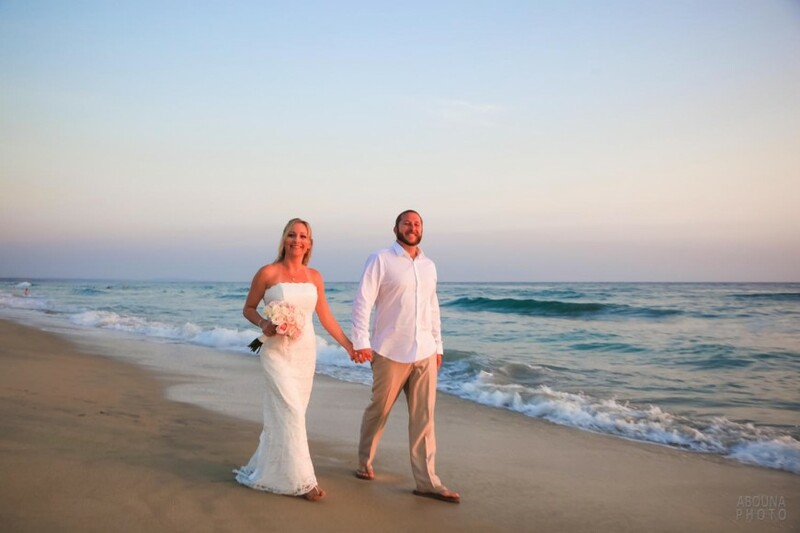 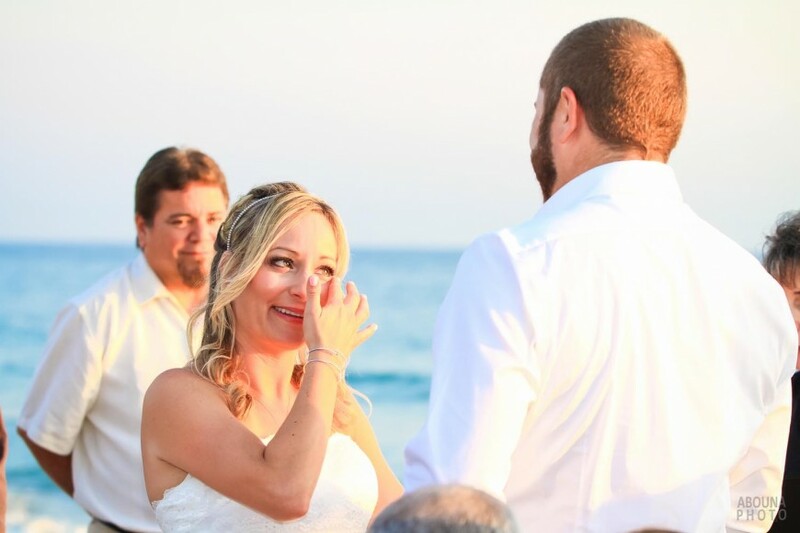 The couple’s destination wedding required only an hour of wedding ceremony photography, which was just the right amount of time to capture their special moment, surrounded by family and friends, the beautiful beach, and some colors of the sunset. As you flip through the accompanying photos from the couple’s beach wedding in Carlsbad CA you’ll get to enjoy some snippets of their wedding photography. 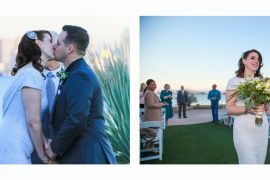 In addition to the photos featured here of the couple’s, you can also see their complete collection of wedding photos in my San Diego Wedding Photographer Client Galleries (password required). 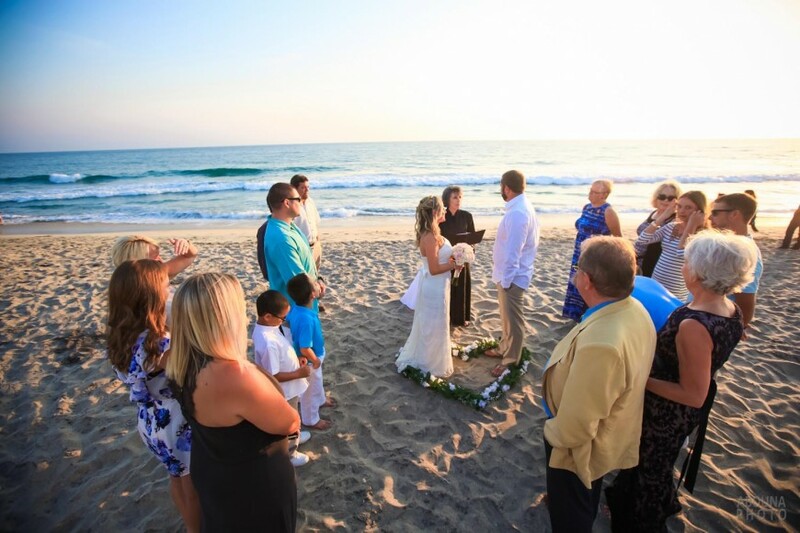 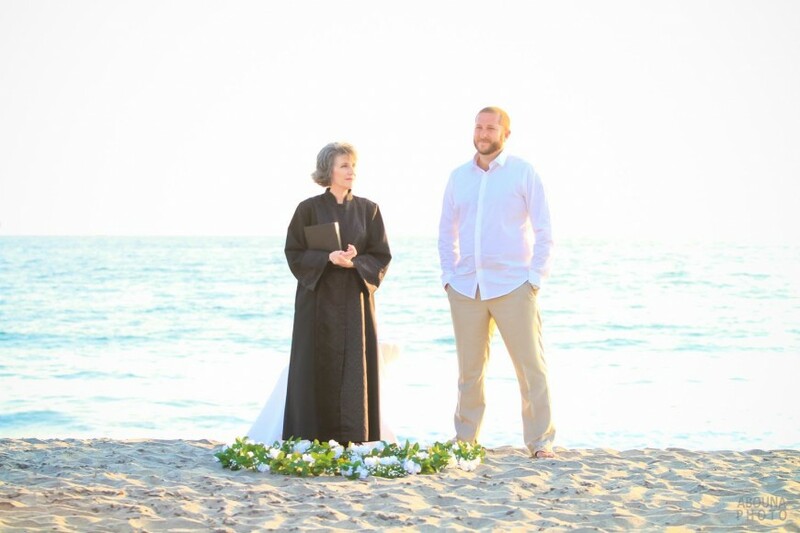 The beach wedding ceremony in Carlsbad CA was nicely intimate with just the dozen or so family and friends present, even though we were situated at the nice public beach near the couple’s vacation rental. 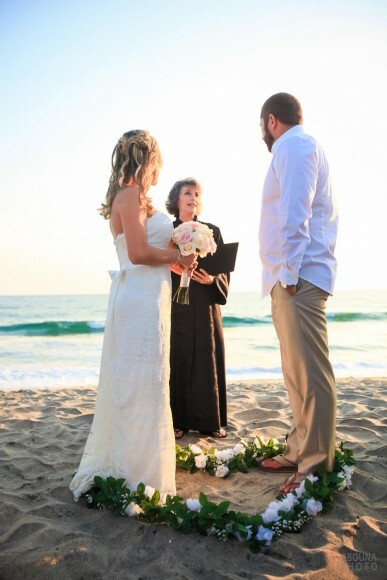 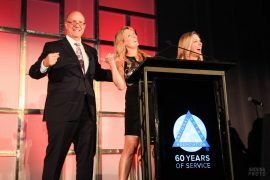 The ceremony itself was orchestrated by wedding officiant Cathy Glenn of Ever After Weddings who delivered a lovely and eloquent union for the couple. 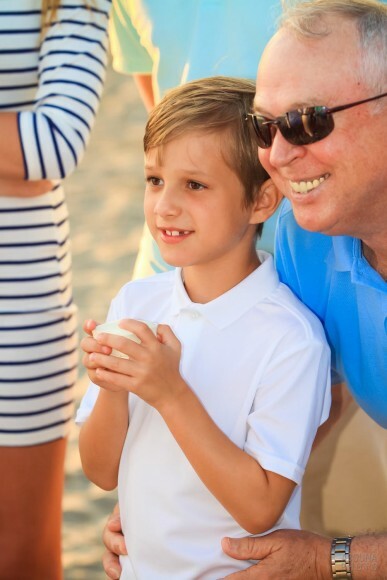 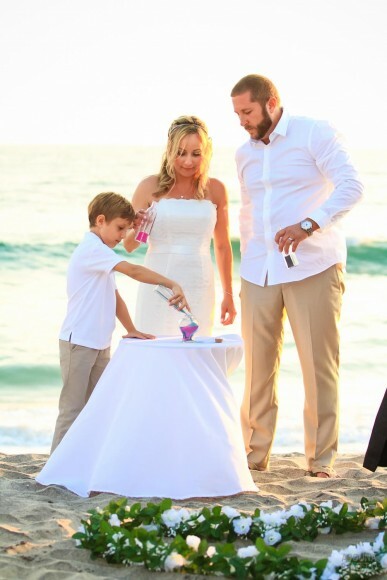 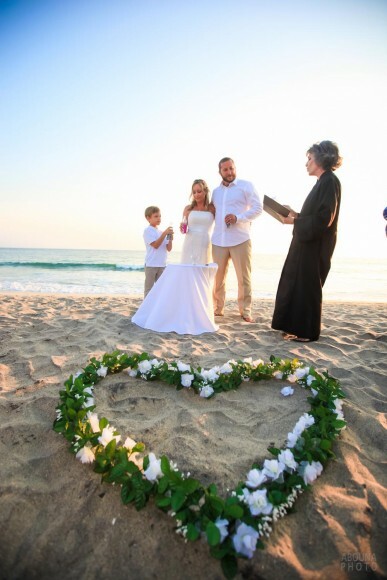 The ceremony included a sand ceremony also involved Lauren’s son. 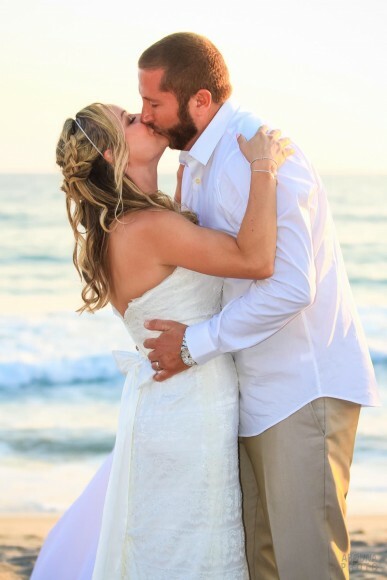 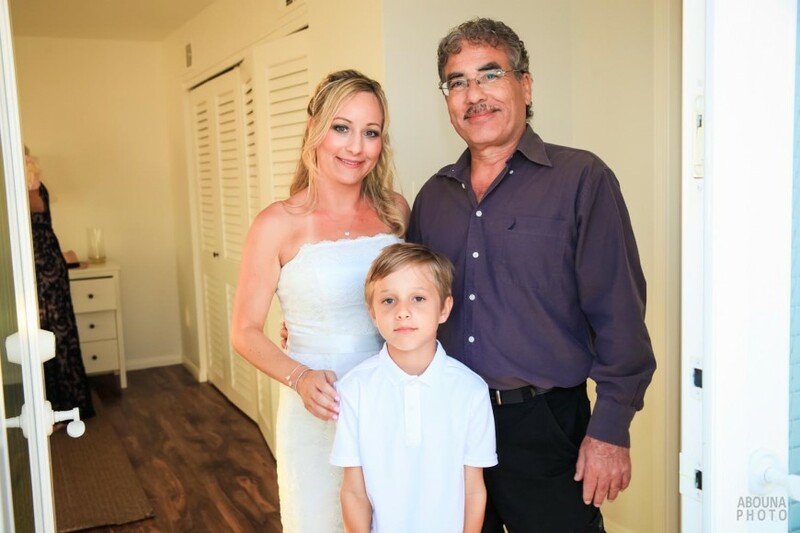 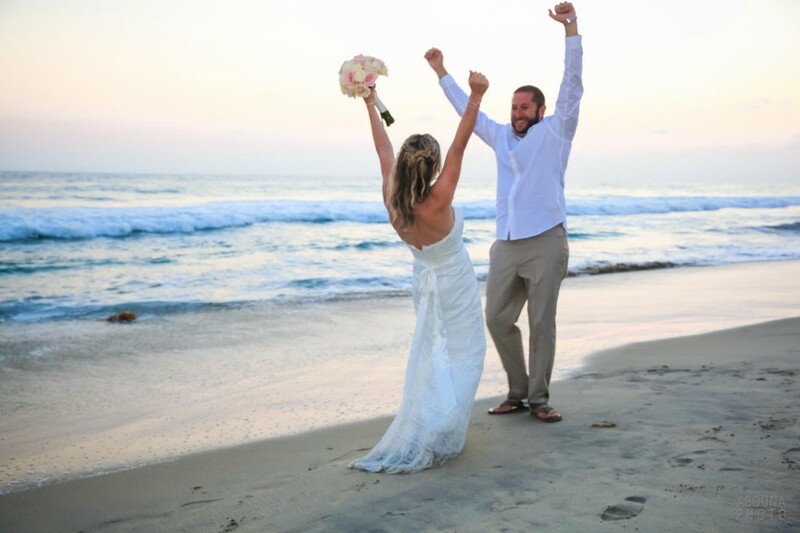 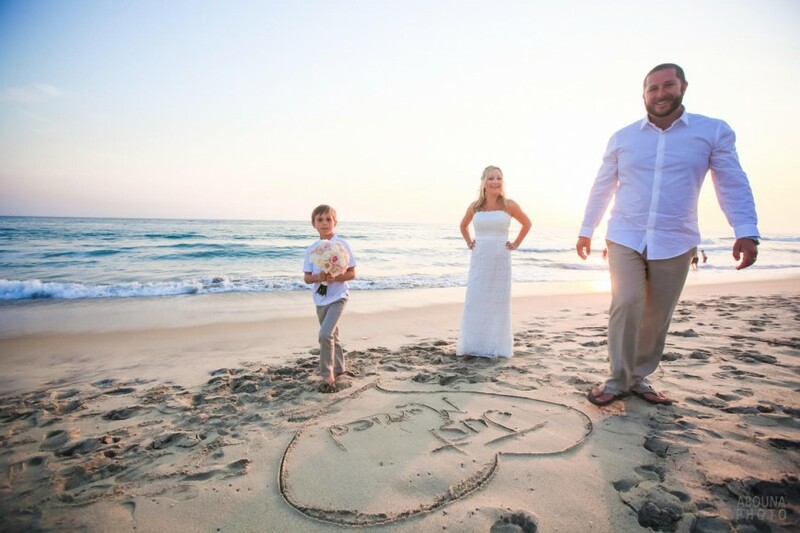 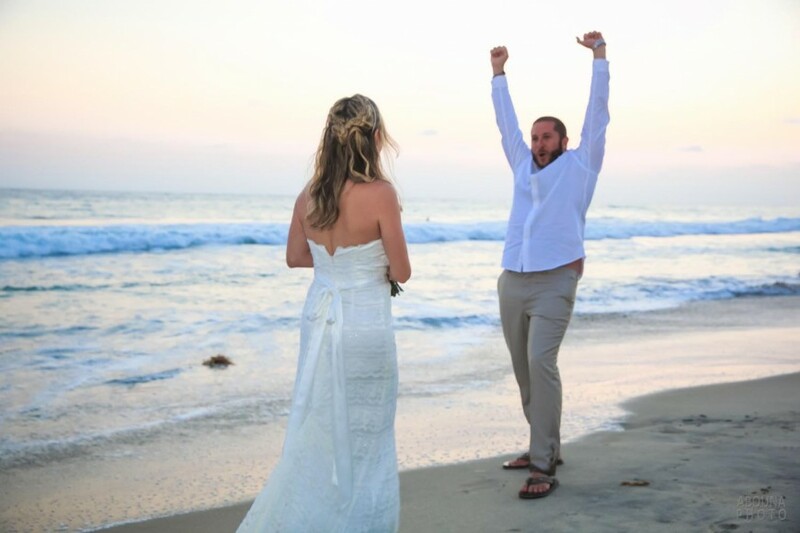 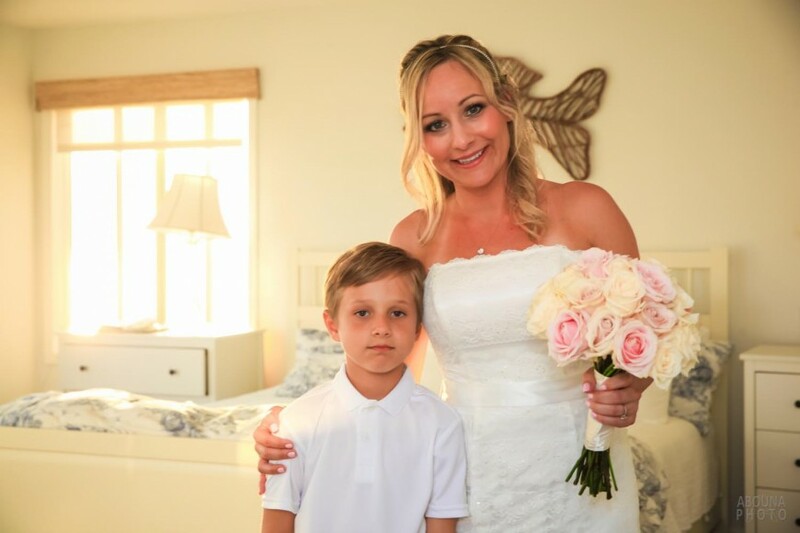 With so many great photos of the couple’s beach wedding in Carlsbad CA the very best way for them to really enjoy them is going to be in one of my beautiful and affordable, Italian-made wedding albums. 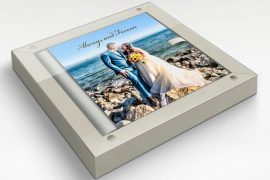 From the lovely album covers, though the personalized photo story that the books contain, these heirloom keepsake excite the senses with each turn of the page. 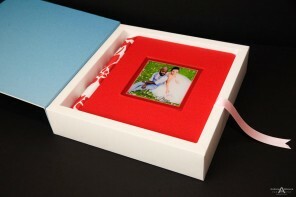 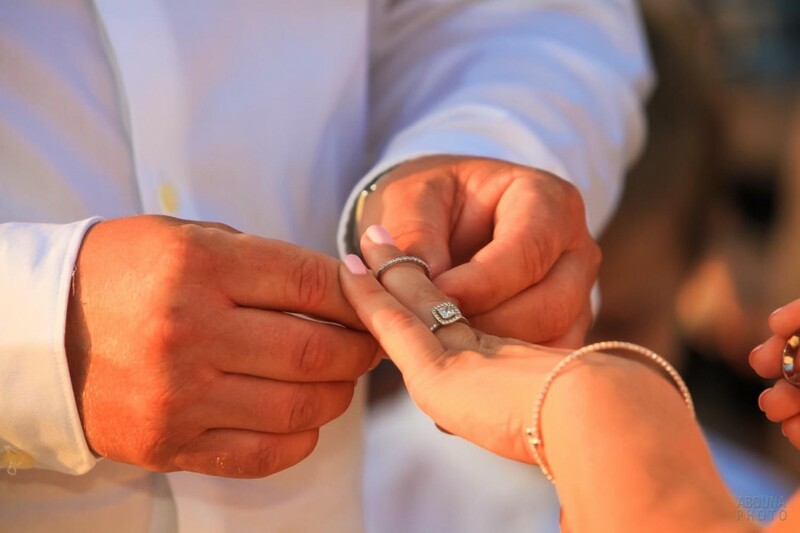 And when paired with a smaller book copy for each parent, their family will also have a timeless keepsake to always remember this special wedding day.